We have had 13 Winter Championships Qualifier (WCQ) meets over the past three Saturdays, with four more scheduled leading into the Feb. 9 CA Winter Championships at Arcadia High. This Saturday is the last chance for athletes to qualify to compete at the Winter Championships. These rankings reflect top marks in each event as long as the marks hit the qualifying standard. To make this list -- and be eligible for the Winter Championships -- marks must be achieved at a designated WCQ meet by a current high school student. 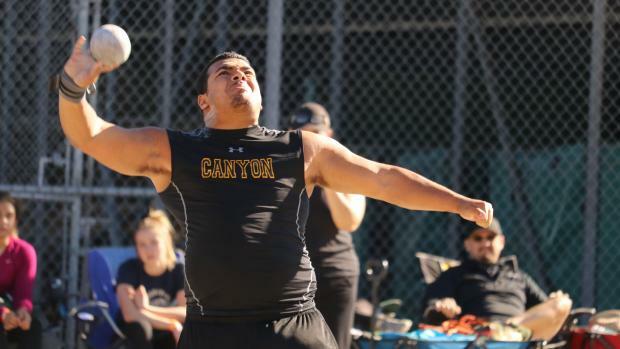 All athletes compete unattached to comply with CIF rules. School affiliations are listed here for the purpose of identification. Only identifiable high school students are listed. If anyone is overlooked, misidentified or missing from results posted to MileSplitCA, please email jeffrey.parenti@flosports.tv with information that validates what should be corrected. NOTE: This article was updated 1/29/19 at 1 p.m.